Mobile network O2 has vowed to rebuild customer faith following two significant service outages in recent months. 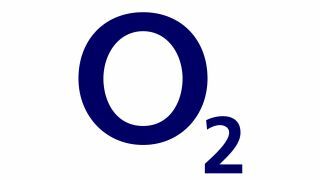 An estimated 2 million users were left without cellular and data services on Friday last week due to another failure of O2's Central User Database, which the network says is provided by one of its suppliers. Now the company says it will spend an £10m on moving to a "proven alternative solution" rather than "risk this happening to our customers for a third time." In a blog post entitled 'Removing your trust in our leading network' COO Derek McManus said O2 will continue to spend £1.5m a day on improving the network and also "up-weighting and re-focussing our Service Experience Team" in the build up to next year's 4G LTE launch. McManus added: "While we recognise that we have dented the confidence and trust of some of our customers, I hope this plan will demonstrate our commitment to rebuilding that trust. "We will not rest until we have cemented the stability of our network and can deliver the level of service customers have come to expect of us over the last ten years." O2's network woes couldn't have come at a worse time for the company, with the launch of Everything Everywhere's 4G LTE service coming before the end of the month. The Orange and T-Mobile 4G alliance already offers a decent sized incentive to jump ship without O2's recent problems, so it's little surprise that it is looking to reassure its customers. UPDATE: It appears that the supplier O2 is pointing the finger at is Swedish telecoms giant Ericsson, according to the Guardian.